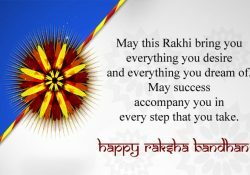 Happy Raksha Bandhan Shayari, Sms, Rakhi Status 2019, Raksha Bandhan Wishes Messages, 15th August 2019 Rakhi Quotes Greetings From Brother Sister in Hindi, Happy Rakhi 2019 Msg for bhai behan. 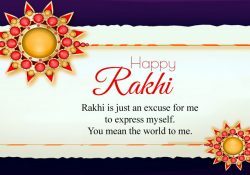 Raksha Bandhan is the festival where a brother takes an oath to protect his sister, every day. 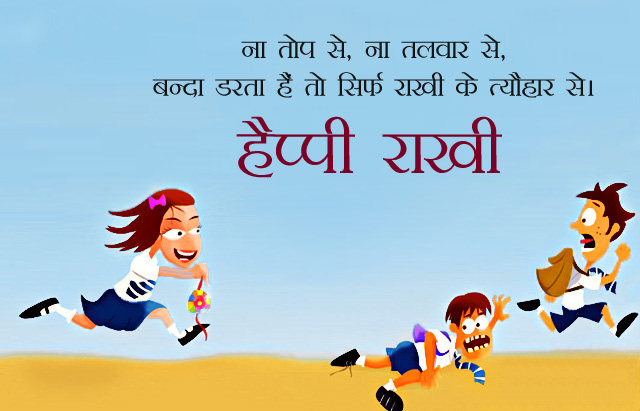 Generally, it’s a brother’s duty to protect his sister from whatever ill things come in her way. 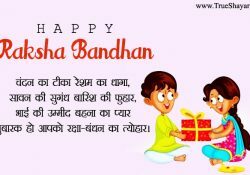 We celebrate Raksha Bandhan with lots of joy. 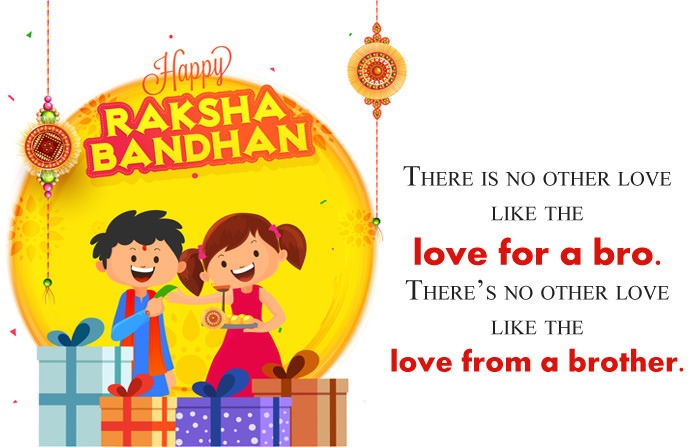 In this precious moment, a sister ties a Rakhi on her brother’s wrist and prays that her brother does not face any kind of troubles in life, stays safe and also wants him as her protector for the rest of her life. A brother in return promises to protect her till the end. 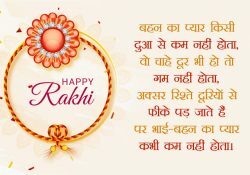 Raksha Bandhan Shayari are very famous and you can use them as your status updates too. 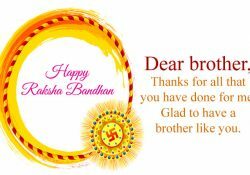 There are lots of Raksha Bandhan Wishes on the internet. Download them and use them in your posts or you can just send them as messages. 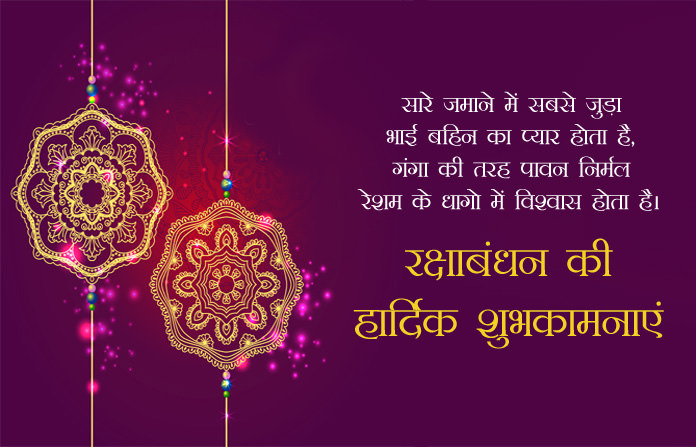 तेरा भाई हमेशा तेरे साथ हैं ….!! !